The Former Elsternwick Fire Station building and associated land. The Former Elsternwick Fire Station was built and commenced operation in 1896. It was one of 32 new fire stations built between 1892 and 1896 by the newly formed Melbourne Metropolitan Fire Brigade ('MFB') to form a comprehensive fire-fighting network across Melbourne. The MFB was established in 1891 as Victoria's government-run fire-fighting service in Melbourne and its growing suburbs. By 1918 motorised fire engine appliances had replaced horse-drawn fire vehicles across the metropolitan area, and the consequently larger areas that fire stations could protect meant the 1896 Elsternwick Fire Station was one of many which was becoming obsolete. The MFB continued to use the Elsternwick Fire Station up until the Station's closure in 1926. From 1927 the former Fire Station was leased by neighbouring timber merchants JJ Webster Pty Ltd who subsequently purchased the property from the MFB in 1934. 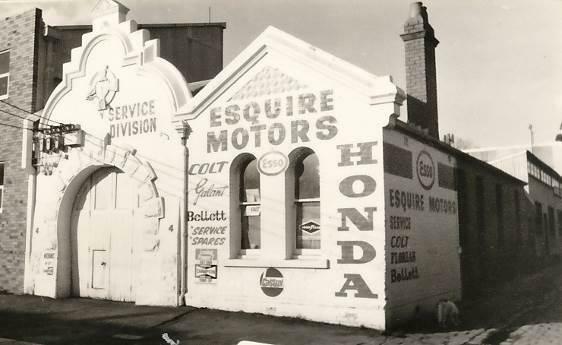 From 1954 the 'Esquire Motors' car repair business traded at the site, and changes to the former Fire Station building including the complete enclosure of its yard by corrugated steel walls and roofing appear to have been completed in the mid-1950s. In 1990 the Australian Broadcasting Corporation ('ABC') purchased the former Fire Station together with five other adjoining land parcels in Selwyn Street. From that time until 2017 the former Elsternwick Fire Station has been used by the ABC as office and storage space in its Selwyn Street television studio complex. The Former Elsternwick Fire Station consists of an 1896 building on Selwyn Street and adjoining 1950s-built additions under a group of skillion and flat roofs to the 1896 building's east/rear. 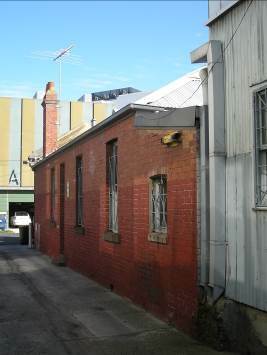 The single-storey 1896 building has walls of brick and stone construction with an asymmetrical principal facade built to the Selwyn Street (west) site boundary. 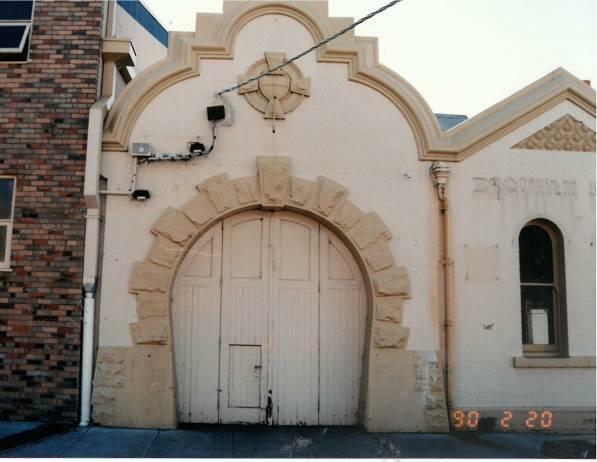 A stone-framed horseshoe arch entrance to the former Station's fire engine room is the dominant feature of this facade. The arch features a carefully-detailed composition of rusticated and smooth-faced limestone, trachyte and fine axed basalt, and frames the engine room's original bi-fold timber doors. 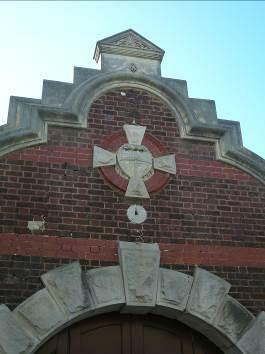 This portion of the Selwyn Street facade is surmounted by an Anglo-Dutch gable with a central large heraldic emblem which contains what appears to be the 1891 MFB-designed corporate shield. Most of the original eastern masonry wall of the fire engine room has been removed to create a larger garage area, most probably in the mid-1950s. Several courses of this wall's original brickwork remain above a steel lintel. 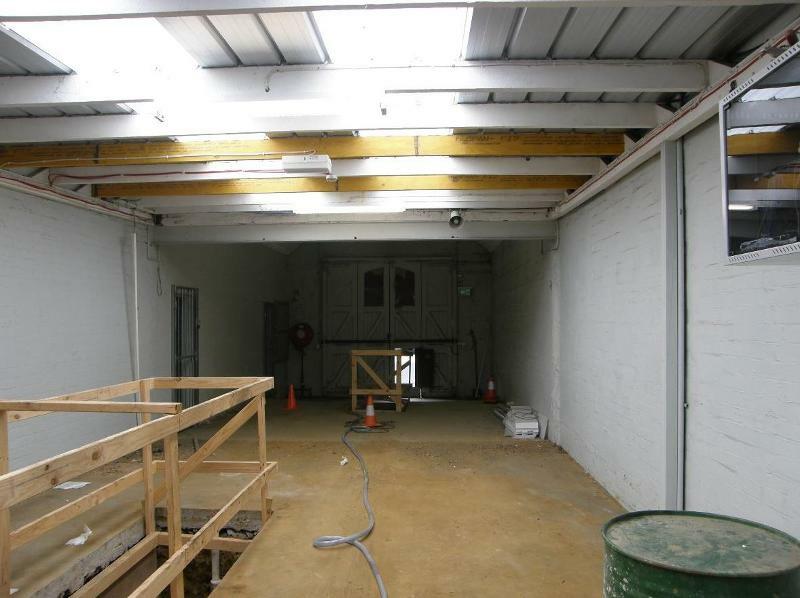 The garage area's floor is a concrete slab and is also likely to have been installed in the mid-1950s. 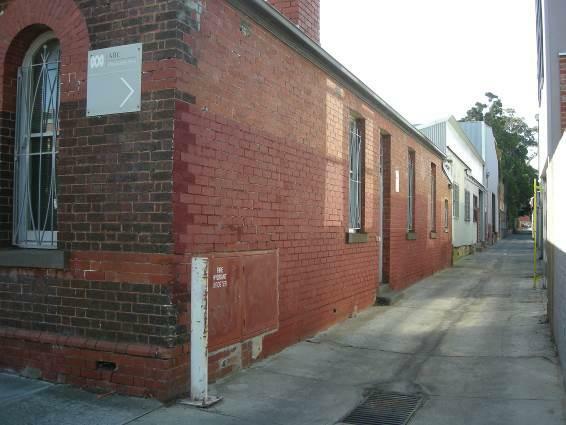 The south elevation of the Former Elsternwick Fire Station is built to the site boundary along an un-named lane. Conventional timber-framed pitched and hipped roofs above the original former Station building appear to have retained their original form, but the original roofing slates have been replaced by corrugated steel sheeting. A corrugated galvanised steel-clad external wall and skillion and flat roofs, which are likely to date from the mid-1950s, completely enclose the east/rear portion of the site. The area beneath these roofs is divided by timber-framed partition walls into four separate storage areas and a small lavatory/washroom area. Apart from ceramic tiles in these lavatories, the floors of the 1950s-built spaces are concrete floor slabs. 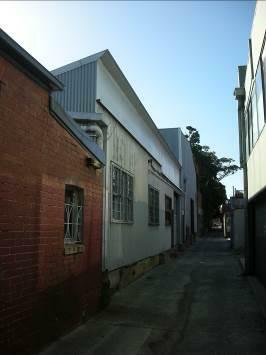 The north and east boundaries of the Former Elsternwick Fire Station site abut the corrugated-steel sheeting clad walls of a large building containing production and storage areas in the ABC's Selwyn Street television studio complex. This site is part of the traditional land of the Boonwurrung people. All of the place shown hatched on Diagram 2376 encompassing all of Lot 23 on Lodged Plan 2360. Until 1891, fire fighting in Victoria was generally undertaken by brigades of volunteers. The brigades were funded by insurance companies, private companies, municipal councils and private funds. Melbourne had (from 1839) a series of insurance-company financed brigades in the City centre, and (from 1854) a collection of volunteer fire brigades in its suburban areas. In 1854 a group of insurance companies co-operated to organise the combined 'Insurance Companies' Brigade'. Volunteers were paid a stipend and a bonus for every fire attended. However without any central control of the various fire brigades, any number could and often did arrive to fight fires which often led to disputes over control and water access. By the 1880s there was a proliferation of suburban brigades, and a community and fire-fighter-driven campaign arose seeking an association of volunteer fire brigades, the passage of legislation to regulate fire fighting in Victoria, the use of modern equipment such as steam fire engines, the use of electric fire alarms as in San Francisco and the appointment of paid fire fighters. Captain James Kelly, leader of the Prahran City Brigade, convened a meeting of fire fighters in May 1883 where the Metropolitan Fire Brigades Association was formed. The objectives of the Association were to represent the interests of volunteer fire brigades (and volunteers) and to work for the passing of a Fire Brigades Act. Toward the end of the 1880s the escalating conflicts between the various volunteer brigades and the Insurance Companies Brigade gave additional impetus to the Fire Brigades Act being passed through Parliament. In 1890 this Act created two organisations in the colony: the Metropolitan Fire Brigade ('MFB'), which became a full-time professional force; and the Country Fires Brigade Board ('CFBB'), which evolved to become the Country Fire Authority ('CFA') in 1945. The MFB initially took over the Insurance Companies' Fire Brigade station at 447 Little Bourke Street. It operated from there until its new East Melbourne headquarters, the Eastern Hill Fire Station in Gisborne Street, was completed in November 1893. In 1892 the MFB implemented a plan to establish a wide network of fire stations throughout the Melbourne metropolitan area. Some would be refurbished existing station buildings, but thirty-two of the fire stations in the new MFB network were to be constructed from scratch. Between 1892 and 1896 these MFB fire stations were duly built at a total cost to Victoria of £77,750. This four year period thus saw the realisation of the MFB's initial plan to put in place a new government-run fire-fighting service for metropolitan Melbourne and its growing suburban population. Several architects were engaged to design the new MFB fire stations during this period, resulting in a wide range of styles and forms. A volunteer fire brigade had been formed in Elsternwick in early 1890, 'principally through the financial support of a number of leading residents', and operated out of basic premises opposite the Post Office. This volunteer corps was abolished in 1891 following the establishment of the MFB in 1891, and its plant and equipment were surrendered to the Metropolitan Fire Brigades Board. Caulfield Shire Council approached the Metropolitan Fire Brigades Board in 1893 and again in 1894, dissatisfied at the Board's delay in providing a fire station in the district. The MFB Plant & Buildings Committee initially proposed to construct a simple weatherboard station at Elsternwick. The Caulfield Shire Council wrote to the Board in April 1895 advocating instead the construction of a substantial structure at Elsternwick, and also to request that the old Caulfield fire station in Glenferrie Road be allowed to remain open as an 'auxiliary'. In late April, the Chief Officer of the MFB reported to the Plant & Buildings Committee that a building similar to the newly-built station at East Prahran would be suitable for the districts of Elsternwick and Yarraville. In May, the Committee resolved to purchase the site for Elsternwick fire station and the transfer of the land to the Metropolitan Fire Brigades Board was registered on 17 June 1895. The MFB appointed architect John Thomas Kelleher to design the new fire station for Elsternwick, and the contract for its construction was signed on 4 August 1895 by contractor Peter Rodger. The Elsternwick Fire Station was built for a total cost of £769 (of which £125 was paid for the land), and it was completed and fully operational in 1896. 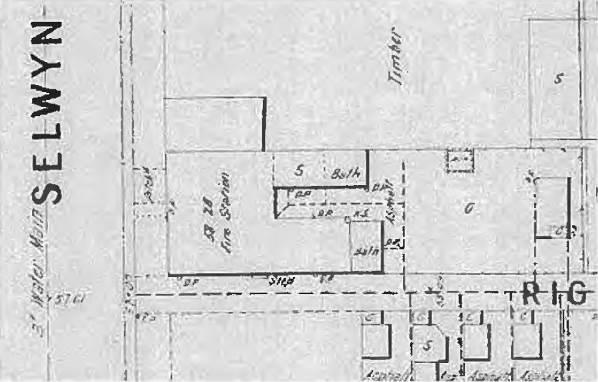 When it commenced operations in 1896 the Elsternwick Fire Station building contained an office, accommodation for a fire crew and a horse-drawn vehicle, a kitchen and dining area, and an annex on the site's north boundary containing a bathroom and lavatories (see the 1902 M.M.B.W Drainage Plan in the 'Additional Images' section of this Report). Until 1950 the MFB Board's policy of 'continuous duty' for fire-fighting personnel meant that fire stations were fire fighters' homes as well as places of work. To the rear (east) of the Station building was an open yard which also contained a stable for the Station's fire horses. J T Kelleher began at the Victorian Public Works Department ('PWD') in October 1863 as a Class 5 Draftsman and continued to work within the Department for 31 years. In 1887, Kelleher was appointed Architect Grade ll in sub-charge of the newly created Buildings Division of the PWD, and was then Architect grade I in charge of this Division from 1893 onwards. During his time in the Eastern District of the Buildings Division, Kelleher was assisted in architectural design by several experienced architects including Alexander James Macdonald (b 1864) and John Russell Brown (b. 1857). Kelleher's signature as the senior architect appears on architectural drawings produced by the Division, but architectural historians have argued that Macdonald is more likely to have been responsible for the designs produced therein. Kelleher resigned from the Victorian Public Service in 1894. Soon after, he was commissioned by the Melbourne Metropolitan Fire Brigades Board to design three new small suburban fire station buildings: at Kensington (also known during its working life as Newmarket and Flemington), Yarraville and Elsternwick. During the years 1898 to 1907 the MFB had established an additional eleven suburban fire stations. Then in 1911, as motorised fire engines began to be introduced in Melbourne, the MFB began to sell its horses. Motorisation was accompanied by a major building programme across the network of fire stations. At its simplest this was a matter of removing stables and feed stores and altering the width of engine room doorways. But motorisation also meant that fire fighters could travel further and more quickly than had previously been possible. The increased radius of operation of suburban fire stations' led to large-scale changes. Some stations closed, other new ones opened, and the distribution of Melbourne's fire stations was affected across the whole network. In 1914 the MFB secured a £100,000 loan for its building and motorisation programme. 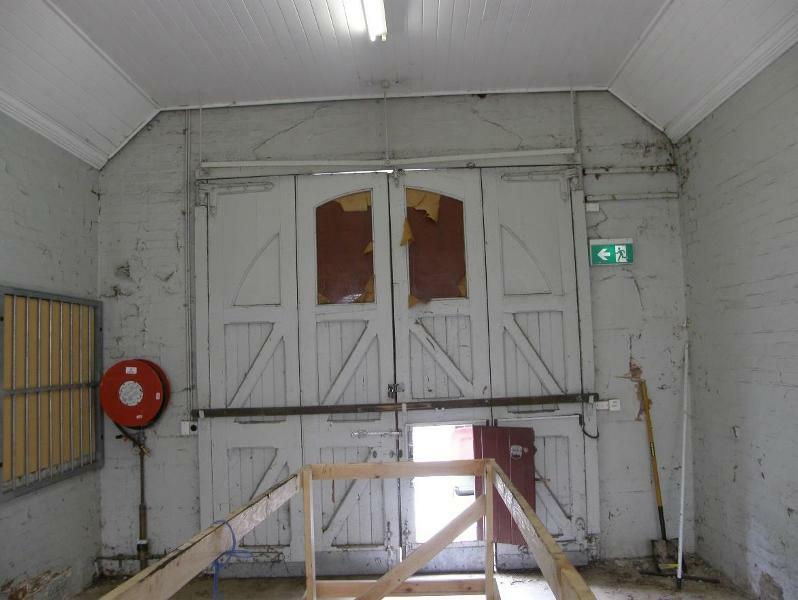 At Elsternwick in 1916 the horse stable building was converted into additional dormitory accommodation for fire fighters. 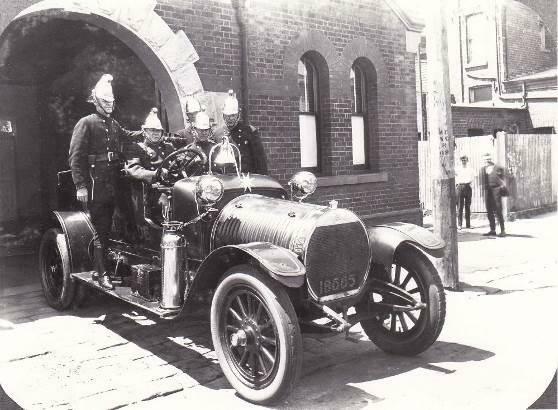 By 1918 motorised vehicles had replaced horse-drawn vehicles across Melbourne and the Elsternwick Fire Station was one of many which was becoming obsolete. 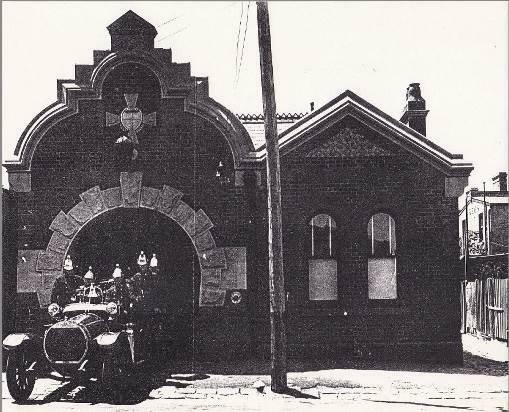 The Elsternwick Fire Station was used by the MFB up until the Station's closure in 1926. Its functions were then transferred to a newly-constructed district fire station nearby, at the north-west corner of the intersection of Brighton Road and Scott Street (in what is now Elwood). In 1927 the Elsternwick Fire Station Service ceased operation at Selwyn Street, and its personnel and equipment moved to new premises. 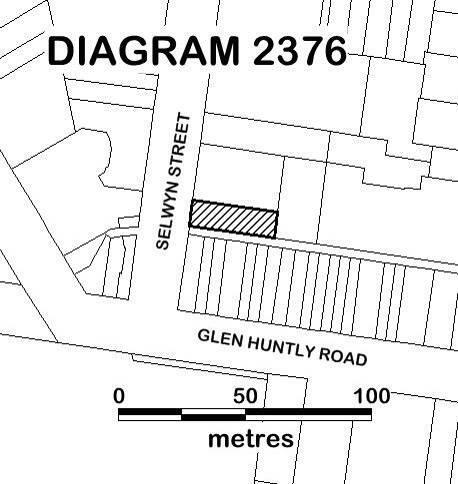 The MFB Board subsequently leased the redundant Selwyn Street Elsternwick Fire Station to timber merchants JJ Webster Pty Ltd, who at that time were operating a timber yard on the neighbouring property at 6-12 Selwyn Street. - construction of substantial timber-framed additions over the whole open yard area to the eastern side of the former Station building. - c.2000: installation of an external cupboard recessed into the external face of the south wall at its Selwyn Street end for a fire hydrant booster assembly. Fire Services Museum Victoria: communication March to May 2017 with archivist Ian Munro. Goad, Philip, Fire Stations, pp.249-251 in eds Goad, Philip, & Willis, Julie, 'The Encyclopedia of Australian Architecture' (2012), Cambridge University Press: Port Melbourne. Heritage Management Plan: former Elsternwick Fire Station [Draft], NBRS & Partners, 18 November 2016. Mauger, Samuel, 1934, The rise and progress of the Metropolitan fire brigade, Victoria, Australia, Melbourne. Sands & McDougall Melbourne Directories, 1893. Sands & McDougall Melbourne Directories, 1897, especially p.1407 'Metropolitan Fire Brigades Board, Stations'. Sands & McDougall Melbourne Directories, 1910, especially p.2586 'Metropolitan Fire Brigades Board, Stations'. Wilde, Sally, 1991, Life Under The Bells: A History of the Metropolitan Fire Brigade, Melbourne 1891-1991, Longman Cheshire: Melbourne. 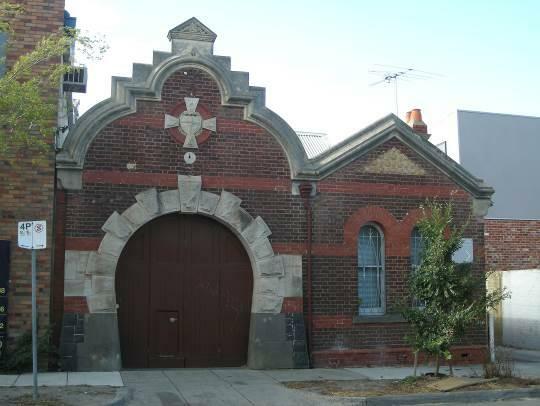 The Former Elsternwick Fire Station commenced operation in 1896 as one of 32 new fire stations built in the establishment of a new network across Melbourne for the recently-formed Metropolitan Fire Brigade, at a total cost to Victoria of £77,750. 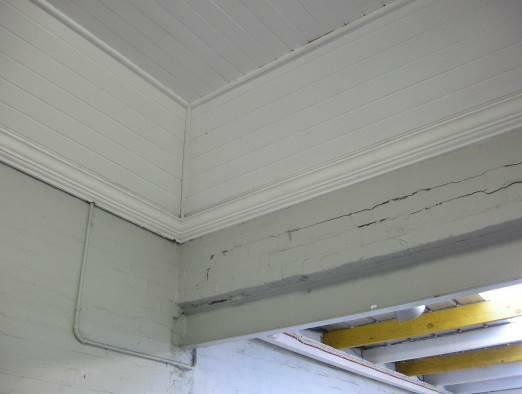 The former Elsternwick Fire Station is of architectural, cultural and historical significance to the State of Victoria.
. Minor patching, repair and maintenance which replaces like with like.
. 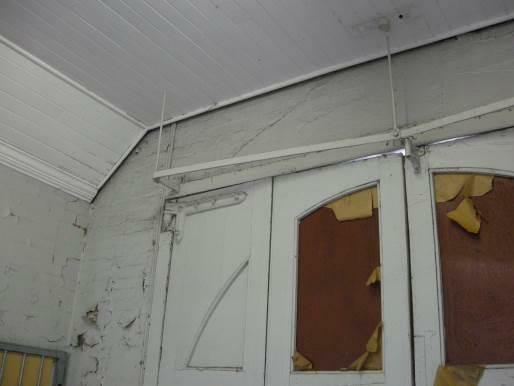 Removal of non-original items such as pipe work, ducting, wiring and making good in a manner that does not have a detrimental effect on the heritage fabric.
. Removal of non-original external fixtures and fittings such as hot water services and taps in a manner that does not have a detrimental effect on the heritage fabric.
. Demolition or removal of non-original wall linings (including plasterboard, laminate and Masonite), non-original flush panel or part-glazed laminated doors, kitchen wall tiling and equipment, lights and built-in cupboards.
. 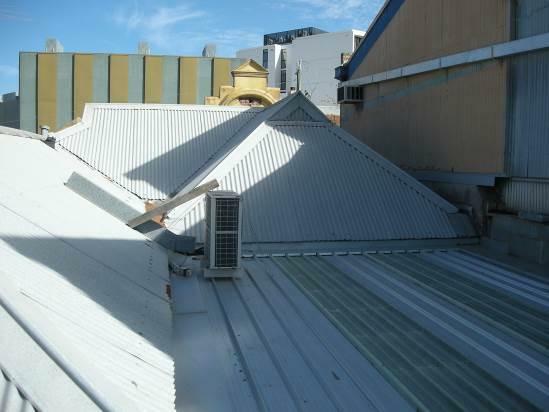 Installation, removal or replacement of bulk insulation and/or plant in the roof space.
. Works that do not increase the footprint of these structures.
. Demolition of the 1950s and later additions subject to a permit being issued for the management of original fabric where it intersects with the later additions. 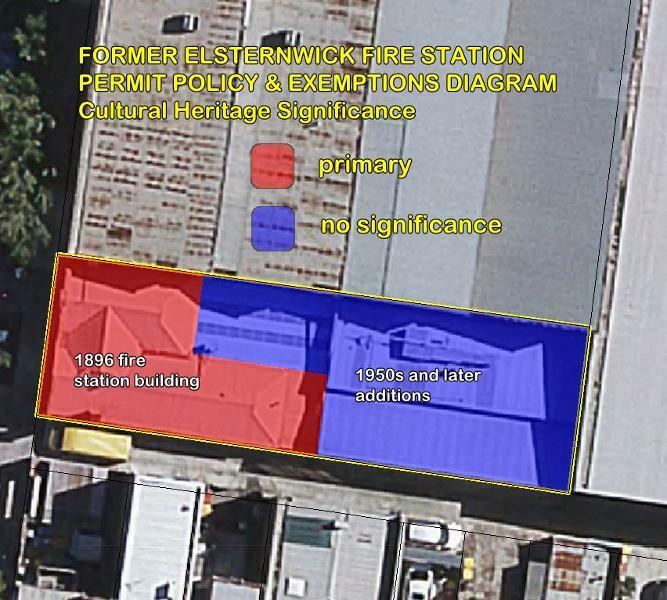 The extent of registration of the former Elsternwick Fire Station in the Victorian Heritage Register affects the whole place shown on Diagram 2376 including the land and buildings (exteriors and interiors). Under the Heritage Act 1995 a person must not remove or demolish, damage or despoil, develop or alter or excavate, relocate or disturb the position of any part of a registered place or object without approval. It is acknowledged, however, that alterations and other works may be required to keep places and objects in good repair and adapt them for use into the future. The most current version of a conservation management plan (or similar document) should be used to guide the management of this place in a manner that respects its cultural heritage significance. 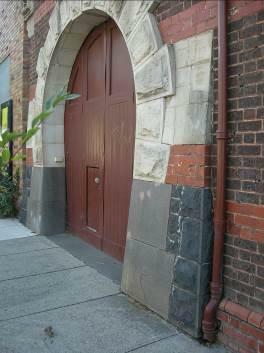 The cultural heritage significance of the Former Elsternwick Fire Station lies in the physical fabric of the face brick and stone 1896 Fire Station building. The timber-framed and corrugated galvanised-steel sheeting clad structures dating from the 1950s and later on the eastern portion of the site are of no significance.